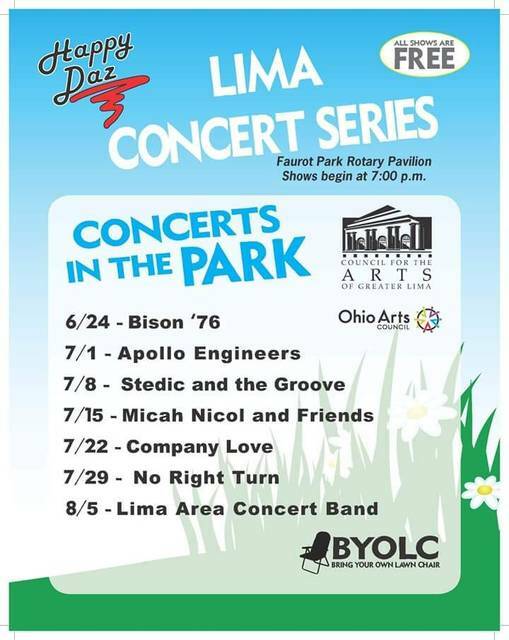 LIMA — Lima Area Concert Band closes out the Concerts In The Park series at 7 p.m. Sunday, Aug. 5, at the Faurot Park Rotary Pavilion, South Cole Street, Lima. This entry was tagged 080518. Bookmark the permalink.